Acquired these two pieces a few months ago from a small armoury in Ukraine. Well finished work and very heavy, almost siege weight. 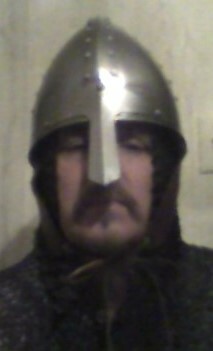 The good way a maille coif should fit over an arming cap. 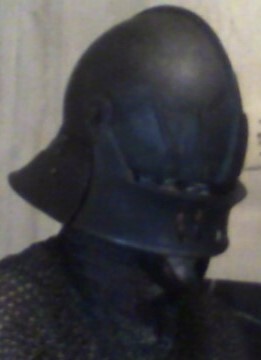 My darkened Gothic sallet helm, made by Epic Armoury. Love it! Norman nasal helm...also a favorite! 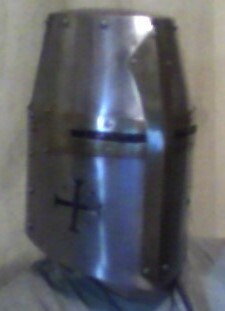 A stunning repro of the Coventry sallet. Think it was made late 90's and I'm the 2nd lucky owner. 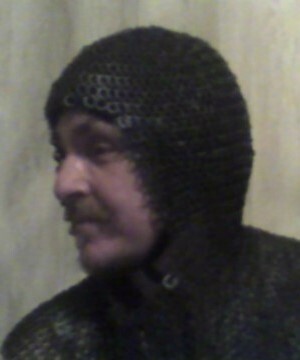 I had one made me for as well by the group 'Craftsmen of Taurica'. Very happy with the result. I love how the visor when raised still offers protection from downward blows. It took two weeks, but I finally finished it. I've never made a helmet before, but I'd have to say that it's not bad if I'm allowed to praise my own work. I could have spent more time straightening the top edge, and I could also planish out the rough hammer marks, but my focus was on completion and fit especially. First post here, btw. Not sure how these pics are going to show up. Do you have to host them from another page or something? Hope this works! Hi all, I finally got my liner and aventail working correctly last week, so I wanted to show off a bit. This bascinet came with a padded liner and mantle but I never could get it to sit right with my aventail because it was too bulky. Finally I trimmed out two sections of the mantle and sewed it back together before folding the outside edge of the aventail under the mantle and stitching it together with heavy twine. What a huge difference it makes in terms of comfort! I wore it with an un-lined aventail for a couple years but I never liked it that way because the mail would slide around and snag on things. Now the padding keeps everything in place and turning my head is much easier. It even has that nice rounded look you see on effigies. So for those of you with aventails, get some padding under there! It's a night and day difference. I might buy this next? 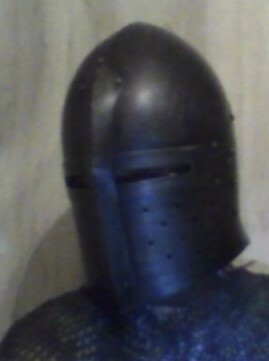 Hi just search gladiator helmet on goggle if you going to use them in battle they need to be 2,0 thick. 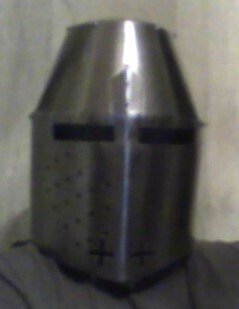 It best to have some padding under a arming cap! Kult of Athena does ship to Croatia, but you will pay taxes because it's outside EU. 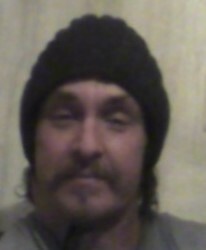 I recommend Wulflund, Battlemerchant or Zeughaus webshops.